My wife asked me to make her a hall table so she can place some pictures and other decorations on it. 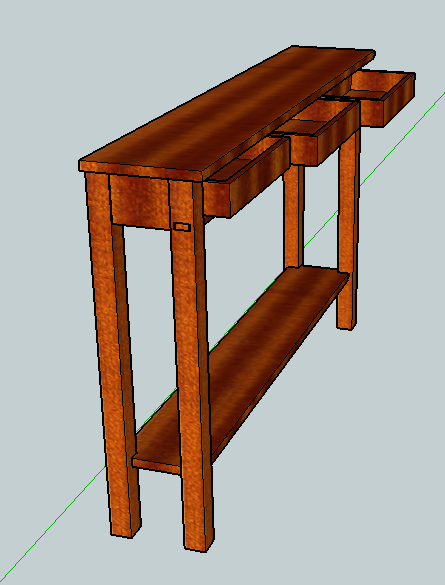 So I designed the project with Google Sketchup and am now starting to plane the wood for the project. 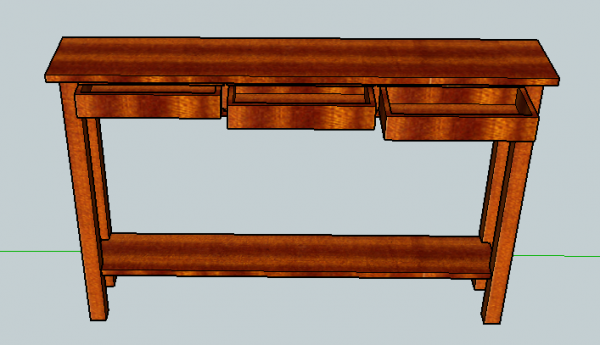 It will be made from quarter sawn Mahogany, which gives a nice ribbon striping effect. That is gonna look incredible Eric!! Your Wife will love it!! I made my Wife one with a Hickory top & Oak border. The frame & legs were from some clear pine with nice grain. Stained it all Walnut. No drawers tho. Thanks Glen. I cut some more parts out and will post some more pictures soon. Do you have any pictures of yours? This table should be awesome Eric. I am really looking forward to seeing the final result. Come on now Colin!! That's how you get in the dog house!! Actually these are very easy to make. 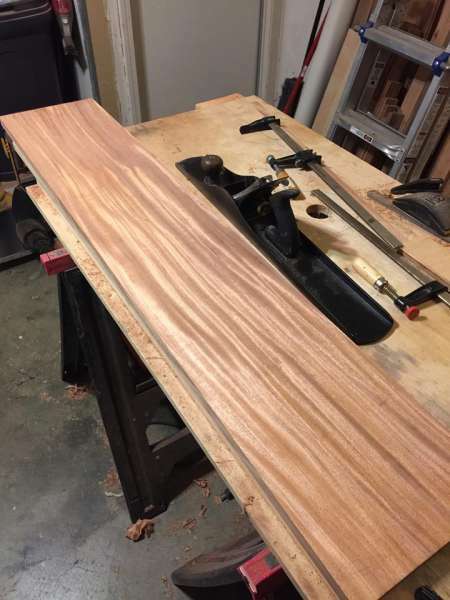 A few M&T joints & that's the hard part. Eric- I might have some pics on the computer or in PB. I'll look around & if not I'll take a couple.